At your initial naturopathic appointment, either Dr. Bablad, ND or Dr. DiCicco, ND, will conduct an extensive review of your health history, relevant health assessment and a treatment plan. Other lab work may be requested depending upon your specific presentation and concerns. Your initial appointment will take between 75 to 90 minutes. Treatment plans are geared to the unique needs of the individual and may include diet and lifestyle recommendations along with therapeutic naturopathic modalities your ND has been trained to use. 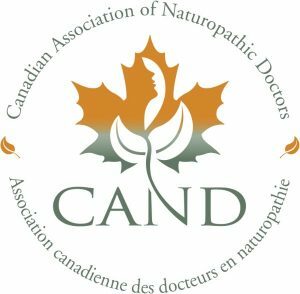 Naturopathic modalities can take on many forms ranging from removing obstacles to health to providing the body tools to correct nutritional deficiencies and/or using homeopathic or botanicals to affect changes towards balane. Your second visit and all subsequent visits are dependent on the advice of your ND. Usually follow up visits are about 45 minutes in length and visits are encouraged until health and wellness are fully restored. The modalities that are practiced by Naturopathic Doctors at Head to Heal are Nutrition, Homeopathic Medicine, Herbal Medicine, Traditional Chinese Medicine, Physical Medicine (primarily Bowen Technique) and Lifestyle Counseling. Nutrition is the cornerstone of good health. Like medicines and drugs, foods affect the way your body functions. Some foods help you heal, while others damage your body and contribute to chronic illness. A healthy diet — consisting of the right balance of vitamins, minerals, enzymes, phytochemicals, antioxidants, fatty acids, fiber and amino acids –- is the most important tool your body can use to manage stress, and prevent and recover from illness. Using diluted doses of natural substances, homeopathic medicine gently stimulates your immune system and rebalances your body and mind. While conventional medicines often cover symptoms, homeopathic medicine relieves your symptoms by correcting their root cause. Since the causes of your symptoms are unique to you, your ND will examine the cause of your pain or illness before prescribing the right homeopathic medicine. Naturopathic doctors use herbs from Europe, the Americas, Africa, China and India to prevent and alleviate illness. Herbs work in two ways: First, they nourish your body with essential vitamins, minerals, enzymes, fatty acids, phytochemicals and antioxidants; also, herbs help your body release toxins that can build up and cause illness. As natural medicines, herbs are relatively inexpensive, accessible, gentle and easily absorbed by our bodies. Drainage is a process by which remedies are used to improve the function of specific organs, tissues or glands and to stimulate these tissues to eliminate or excrete the toxins that they hold. This opens up the excretory channels and facilitates a cleansing effect on a cellular level. By addressing the cellular imbalances within the body, all body functions are improved. The goal of drainage is to restore cells and therefore our organs, glands and tissues to their optimum function. Optimum function equals optimum health. Specifically formulated drainage remedies, which have an affinity for specific organs, glands and tissues, are used to stimulate and encourage the release of waste material. Traditional Chinese medicine (TCM), which includes acupressure, acupuncture, Asian foods and herbs, is a complete medical system that has diagnosed, treated and prevented illness for thousands of years. According to TCM, when your energy flow or Qi (pronounced ‘chee’) is out of balance, your body cannot adapt to stress, making you more likely to develop chronic illness and pain. A harmonious flow of Qi, achieved by balancing cold and heat, internal and external, yin and yang, will help sustain your long-term physical, mental and emotional health. Physical medicine includes Bowen Technique, massage, hydrotherapy, peat therapy and other physical therapies. Physical medicine works in two ways: First, it restores structural soundness to the skeletal system, joints and soft tissue; in addition, it builds immunity and supports healing and detoxification. To achieve the best results from your naturopathic treatment, you need to understand and practice the principles of healthy living. By helping you identify and adjust the habits that contribute to ill health, your ND will help you maintain wellness over the long term.